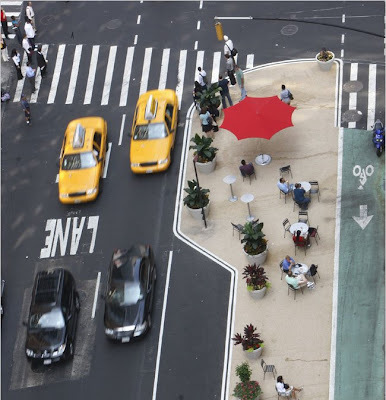 if you work in times square like i do, then you have probably noticed the crazy new "park" that was created literally on broadway. it is a pebble esplanade from 42nd st to 35th st with planters and benches. i'm not sure how safe it is, but then again the sidewalks in new york aren't exactly safe, but it does makes times square just a little more bearable. what the eff?! NYC is so weird.